That legal issue may be trademark. Last week, a United States appeals court ruled that a trademark infringement lawsuit against Google be sent back to a lower court for trial. 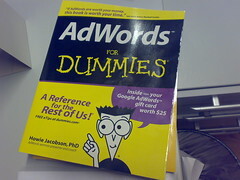 The legal dispute centers around Google’s potential responsibility when AdWords ads are purchased by individuals and companies to appear when Google users search for terms that are trademarked. In the case of Rescuecom Corp., the Court of Appeals for the Second Circuit in New York ruled that Google should answer to the claim that it infringed upon Rescuecom’s trademarks by selling AdWords ads to Rescuecom’s competitors which appear when Google users search for phrases containing ‘Rescuecom‘. Prior to this ruling, it was believed that this issue had basically been resolved by the courts in the United States; there are other cases which provided some precedent for the notion that third parties like Google weren’t liable in cases like this. 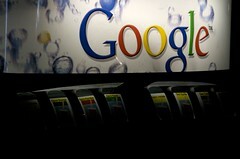 But that’s not a given now and Google will have to defend itself against Rescuecom’s claims. Needless to say this is an important case for Google and I’m sure that attorneys are already salivating over the possibility of a final ruling adverse to Google. That would almost certainly open the floodgates to similar lawsuits. But would this really be a good thing for anybody? AdWords is an automated system. It would be difficult for Google to determine what keywords are trademarked and more importantly, which ones risk causing confusion (the big issue). Making matters more difficult is context. As the EFF points out, this isn’t a cut and dry issue. While someone could purchase ads using the keyword “McDonald’s” in a manner that infringes McDonald’s trademark, an organization criticizing McDonald’s could be purchasing ads too (protected free speech?). Or a company could be using a competitor’s trademark in a completely legal manner that does not cause confusion. How is Google supposed to automatically determine which situation exists at any given time for every single campaign? It can’t. If Google is forced to take a more proactive (and potentially heavy-handed approach) in monitoring campaigns, it could disturb the efficient and effective AdWords marketplace we’ve come to know. Since the majority of the campaigns on AdWords don’t infringe on anyone’s trademark, the unjustified harm to Google and honest advertisers could be immense. That wouldn’t be good for anybody and the most obvious solution is a notification procedure. Of course Google already has one so it’s unclear why this issue needs to be addressed in the courts anyway (except for the lure of Google’s deep pockets). While I support the right of trademark holders to protect their trademarks, let’s hope common sense prevails here. Not everything dispute requires a legal battle. Photo credit: Moe_ via Flickr. While discussing the type of sites Google does not like some people may think of the (allegedly) leaked quality rating guidelines that (allegedly) came from the search engine. However, Google does publicly discuss the type of site it dislikes. There is a document in circulation in the search industry which people claim to be a copy of Google’s 2007 guidelines to their quality testers. Google does use humans to rate the quality of the search results. Google argue they do not use humans to change the search results. If you’re an internet entrepreneur and you could pick any company to invest in your startup, which one would it be? Chances are Google would be at or near the top of the list. And for good reason: Google is not only the 800-lb. gorilla of the internet and one of the most prominent companies in the world, it has been fairly aggressive over the years in acquiring young startups, from hot consumer plays like YouTube to enterprise ventures like Postini.